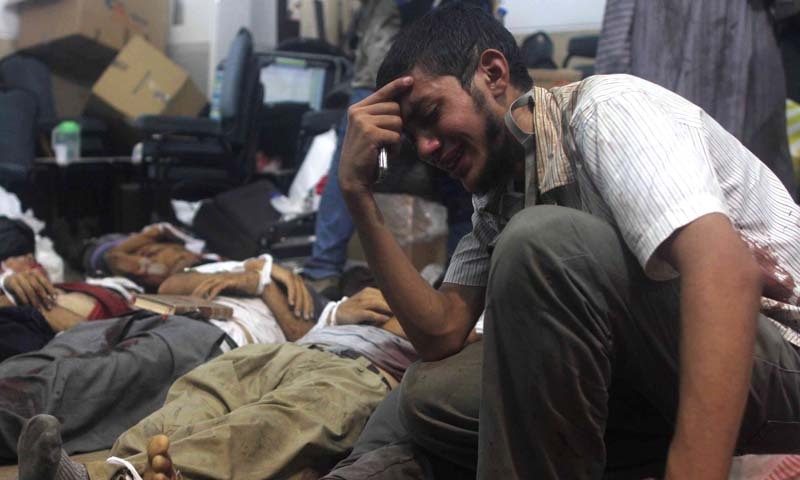 Islam Around Us: Egypt's carnage kills 578 as crisis deepens. CAIRO | AFP | 16 Aug 2013 :: At least 578 people were killed in the violence that swept Egypt Wednesday, the health ministry said, with more than 300 of them losing their lives after police assaults on Cairo sit-ins. The death toll included 43 policemen and 318 protesters killed in Cairo's Rabaa al-Adawiya and Nahda square protest camps, senior health ministry official Khaled al-Khatib told AFP Thursday. In total, 535 civilians died nationwide. A health ministry official said at least 300 civilians had been killed throughout the country, updating an earlier toll. The interior ministry added that 43 security personnel had lost their lives. “The nightmare of the Brotherhood is gone,” daily Al-Akhbar's front page headline read. “The Brotherhood's last battle,” added Al-Shorouk. At least four churches were attacked, with Christian activists accusing Morsi loyalists of waging “a war of retaliation against Copts in Egypt”.